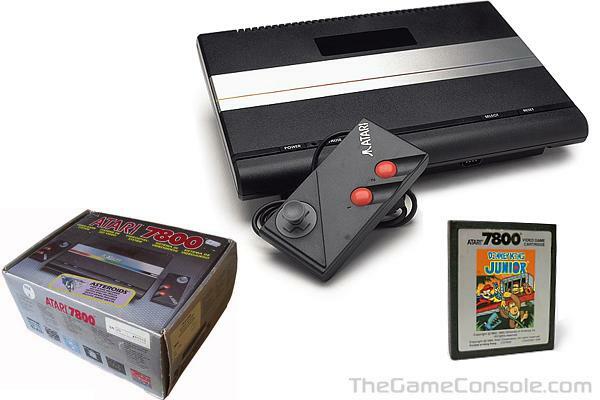 The Atari 7800 was Atari's chance at redemption in the video game market. Atari Inc. spent a good part of 1983 interviewing thousands of people on what they wanted and didn't want in a video game console. Atari Inc. through Warner Communications, then worked with General Computer Corporation who earlier had lost a lawsuit with Atari regarding a "Speed-up" board for Atari's Missile Command. The all new graphics chip called MARIA (Also the code name of the 7800 Project) with almost 100 independent sprites, better color palette on screen, and other powerful features would not only allow game designers the ability to code new and exciting games, but the chip also allowed an original Atari TIA processor to co-exist side by side with MARIA so that the new console could also play all of the original Atari 2600 games as well. The Atari 7800 was designed to be flexible and expandable and even had an expansion port for future peripherals to tap into the system bus and video circuitry.